A fine large Scottish oil painting by John Davies Kennedy. 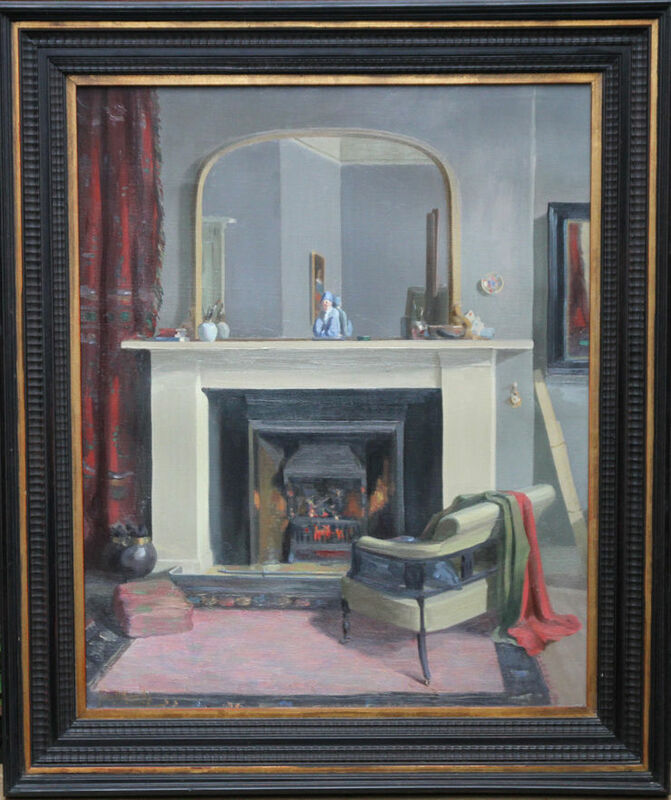 A stunning realist Scottish Interior fireplace scene, this work was exhibited with the title Interior at The Royal Scottish Academy in 1925. 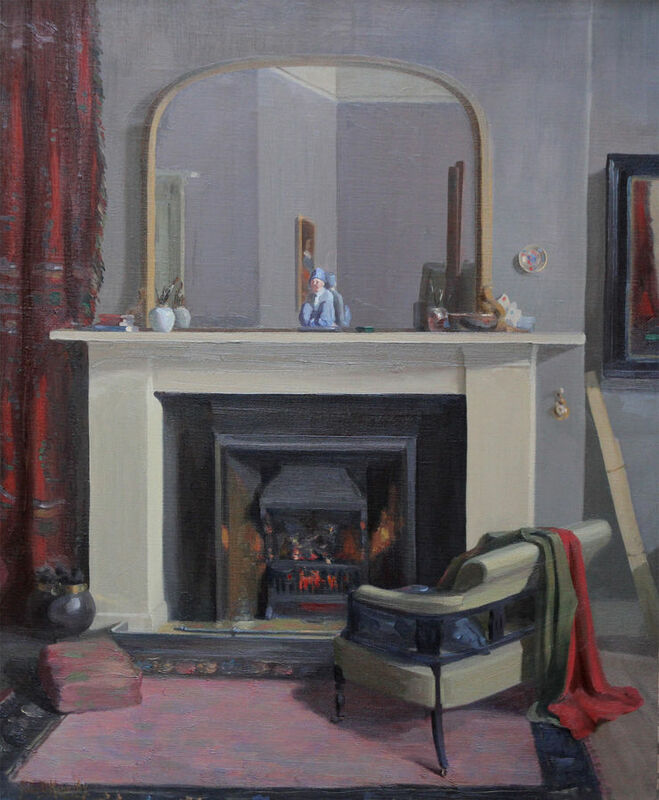 The work may well depict the interior of the artist's own home, as there are paint brushes on the mantel piece, an easel and painting reflected in the mirror and another painting to the right of the fire place. The work is in stunning original condition in a fine ebonised frame. This is a fine example of an early 20th century Scottish painting. It is just lovely, a good size and signed. This wouldn't be out of place in Kelvingrove Gallery in Glasgow. Signed lower left. Royal Scottish Academy 1925 Number 284 titled Interior. Fine period frame, 40 inches by 35 inches and in good condition. John Davies Kennedy (fl 1920-1955) was a Stirling based painter in oils and watercolours of topographical and figurative compositions. He exhibited at The Glasgow Institute 3, Liverpool 3, Royal Society of Painters in Watercolour 10 and The Royal Scottish Academy 22.